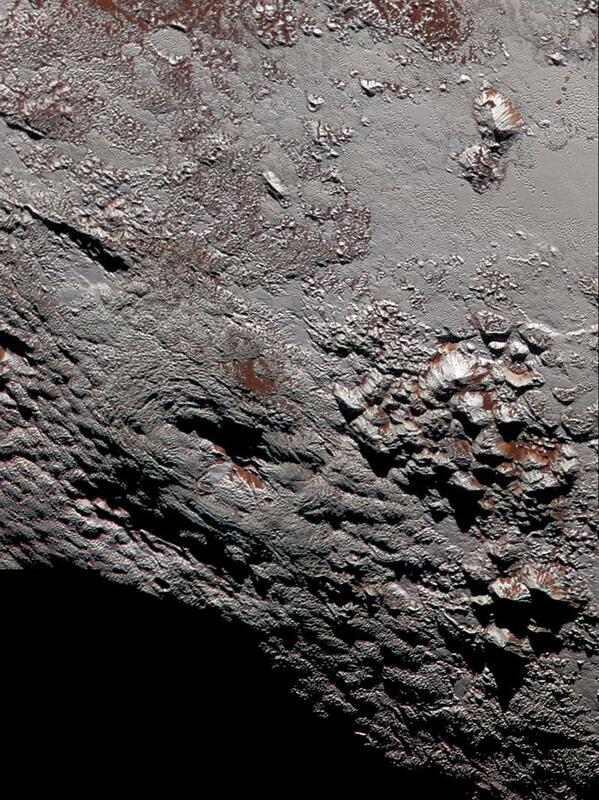 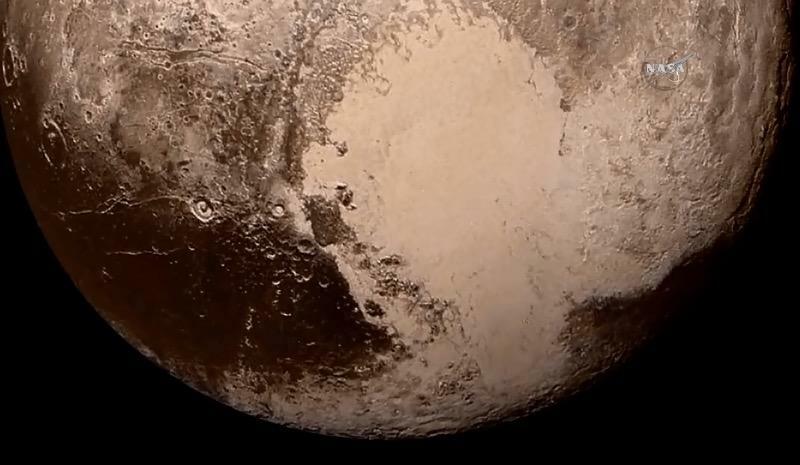 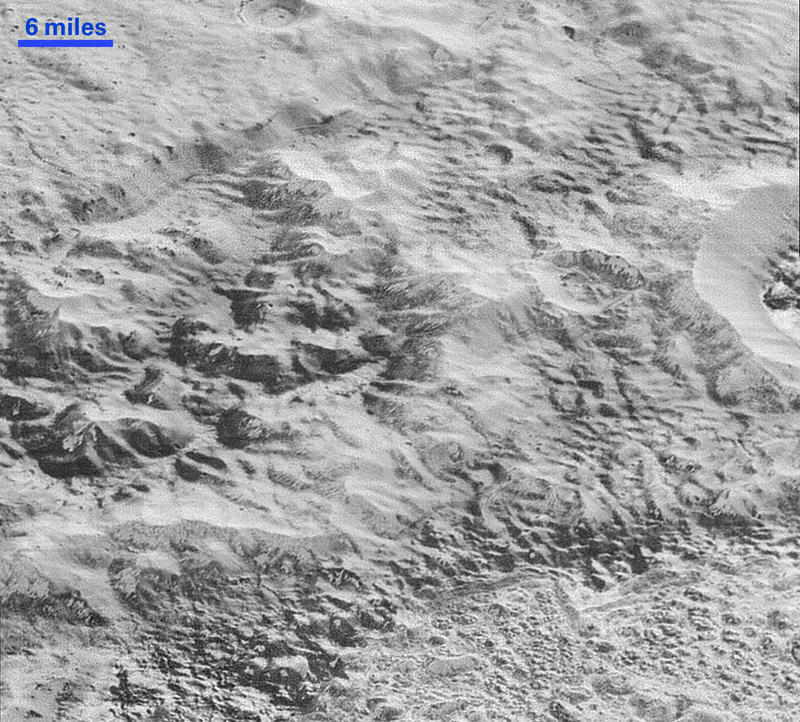 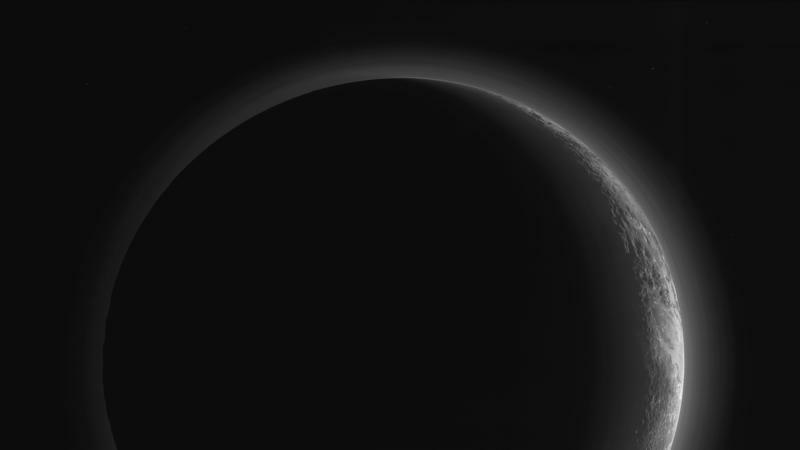 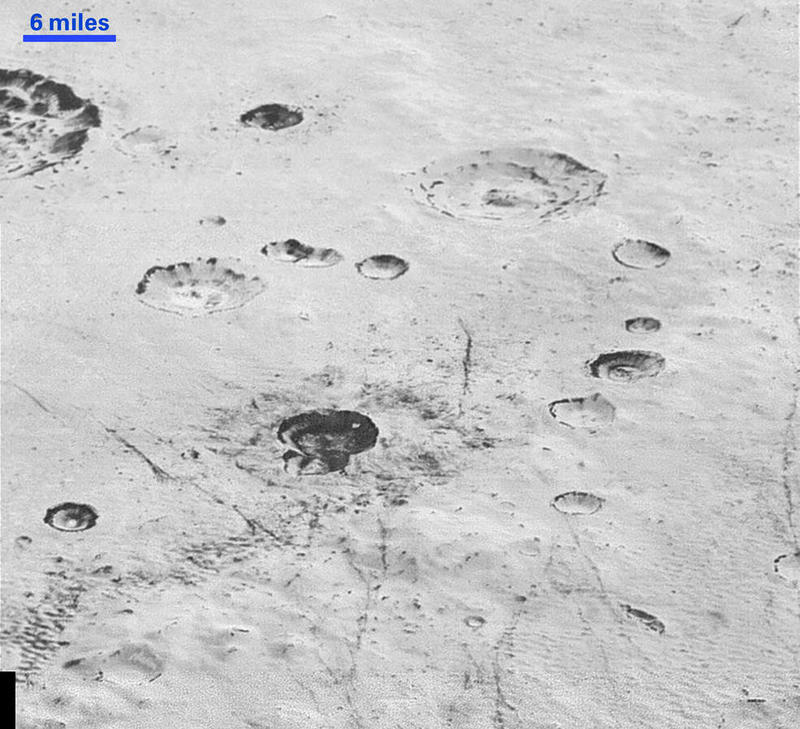 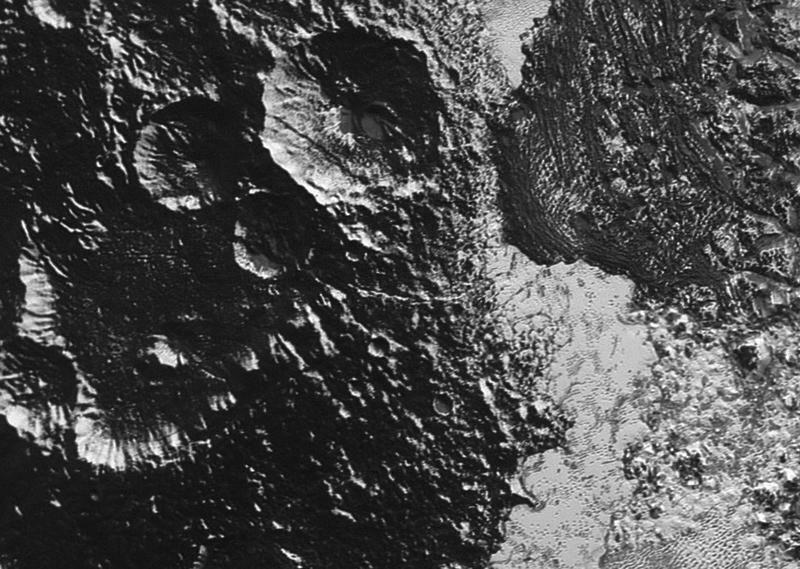 Over the past few months, scientists have uncovered several new details about Pluto’s complex and mysterious geology: ice volcanos, floating hills, deep canyons, hazy skies, and maybe even methane snow. 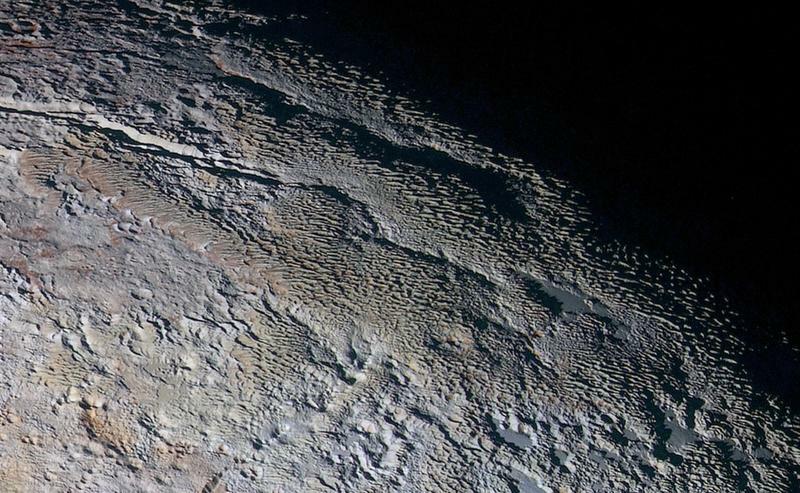 Now, research published on Thursday suggests there’s liquid water hiding beneath the planet’s frozen surface. 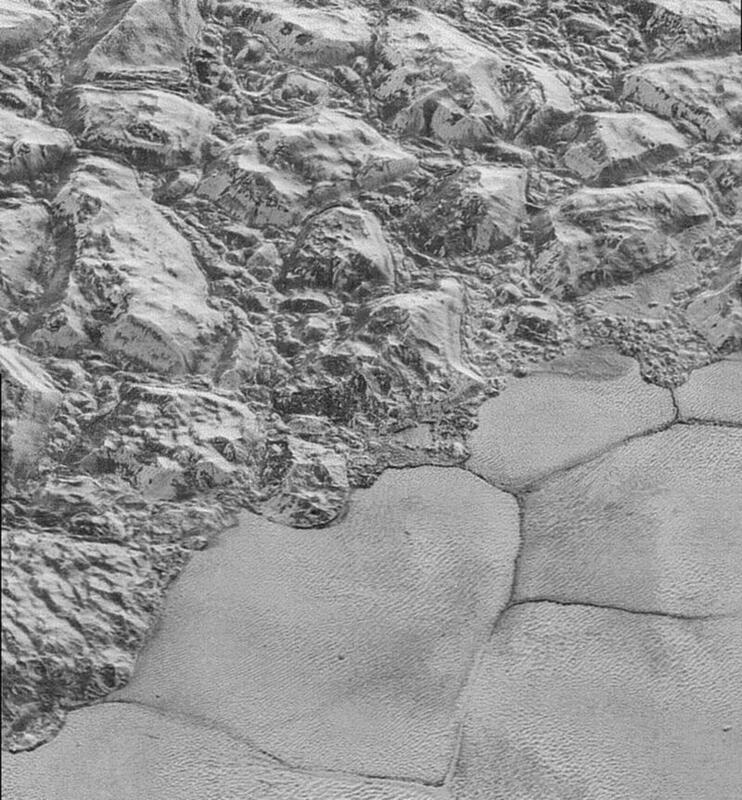 Pluto’s subsurface ocean is something it has in common with many other moons in our galaxy, including Saturn’s Enceladus, Jupiter’s Europa, and even Mars. 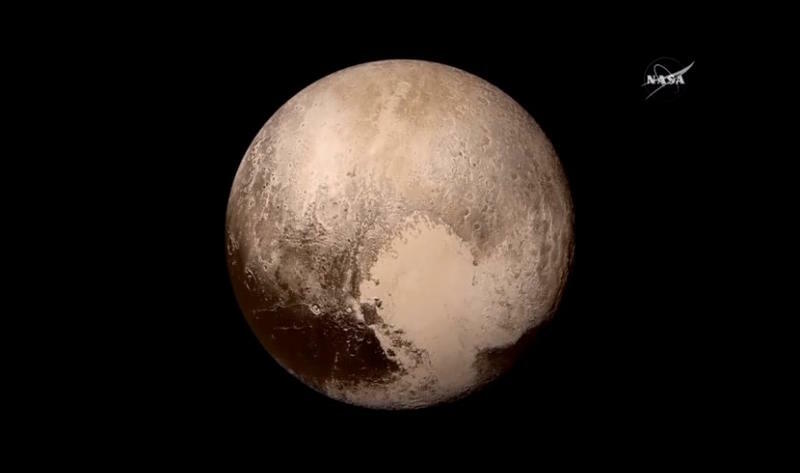 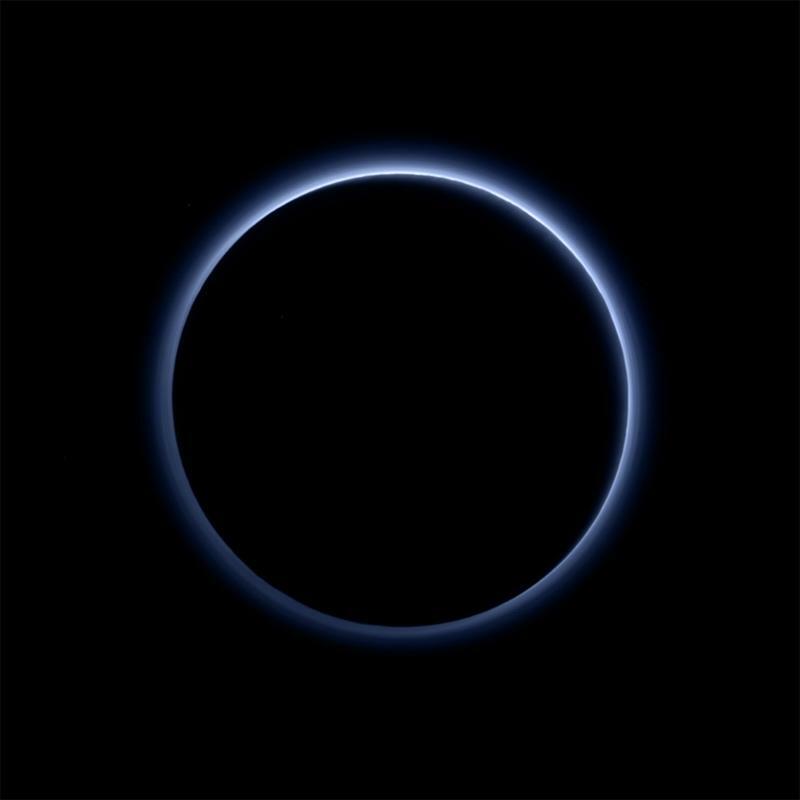 This whole time we thought Pluto was weird and unusual, but the latest data makes our home planet look like the odd man out. 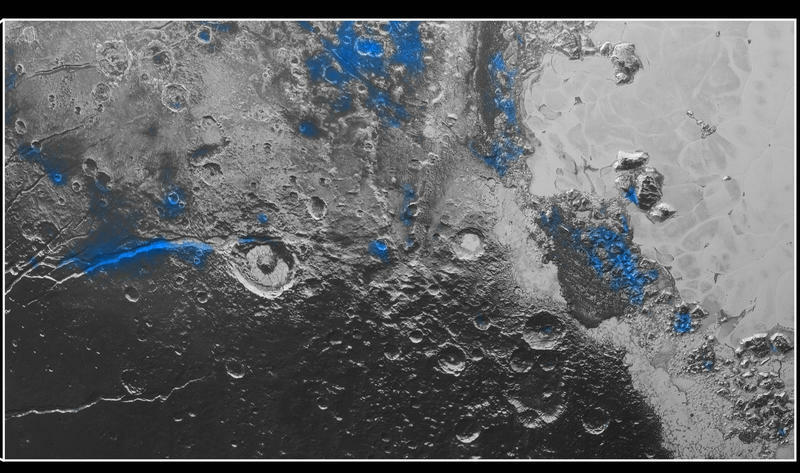 If there’s water, does that mean there’s the potential for life? 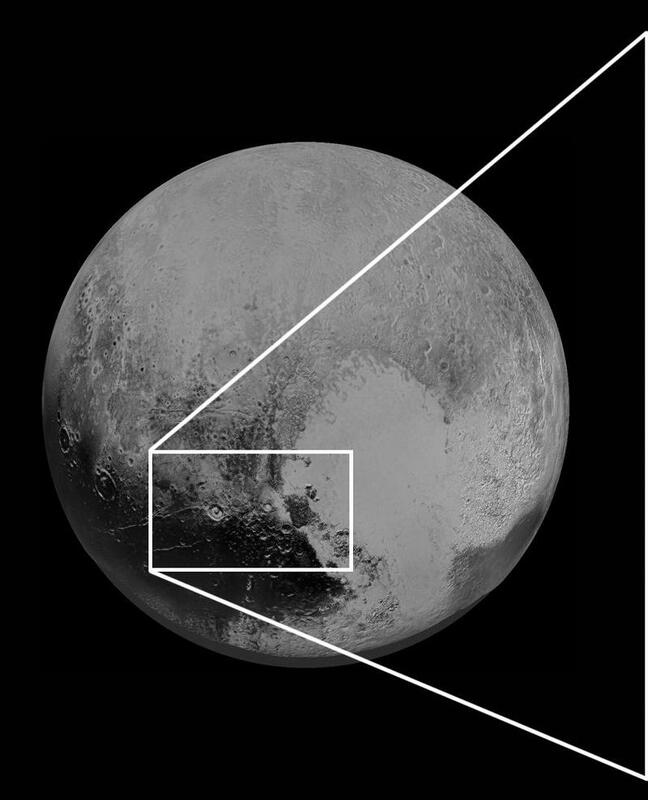 According to planetary scientist William McKinnon, there’s always the possibility though it’s unlikely. 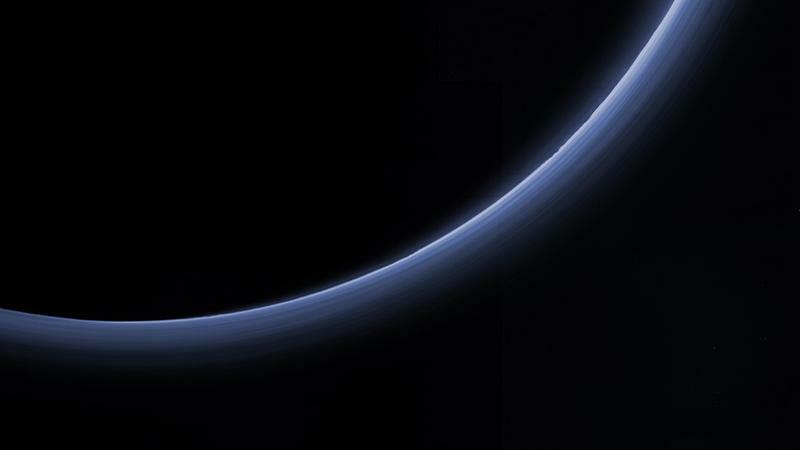 Since flying by Pluto last year, New Horizons has continued to send information back to Earth and will continue to do so throughout 2016.